Thanks to everyone who signed up for the ComicXposure.com Variant give away. Trying to continue the giveaways between now and Christmas, as everyone loves free comics. Here are the winners. Winners, Please email me at apopcomics@gmail.com with your shipping address. Thanks to everyone who entered and thanks to www.comicxposure.com for the books. This week, finally getting to the Walking Dead 100 2nd print and AgentPoyo Sketched blank Walking Dead. Look for them on Wednesday to start. Oooooooo love some Walking Dead! Wednesday, going to be slightly different contest, not just giving your name. 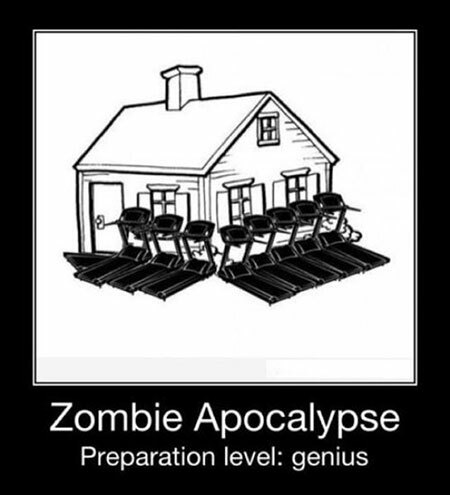 Start thinking of your Zombie Apocalypse bunker. Best idea ever.. although, probably want to make sure you have green electricity off the grid..
Congrats guys! Awesome gesture for sure.